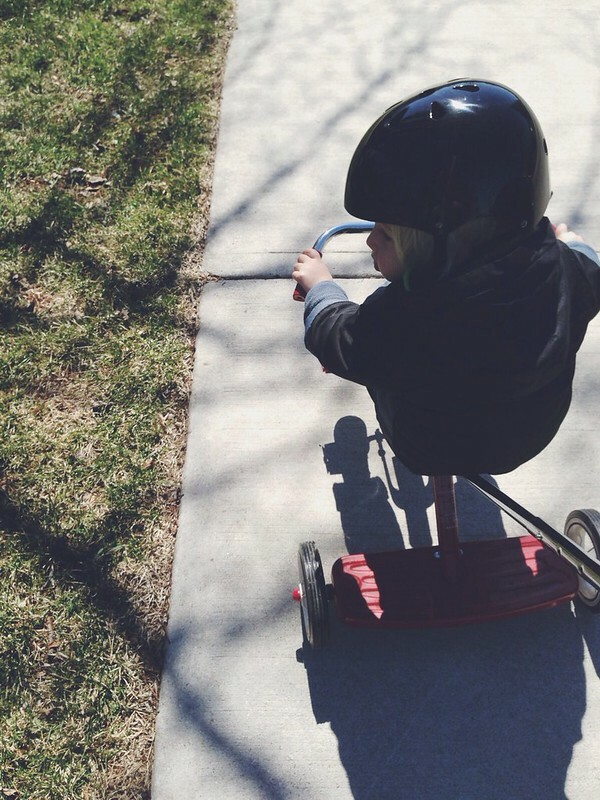 The A & B Stories: The tricycle is out! It's been beautiful lately, chilly but sunny and I LOVE IT. I don't like summer to hit us too quickly, I want to actually have a spring, and that seems to be the case this year. Yay! 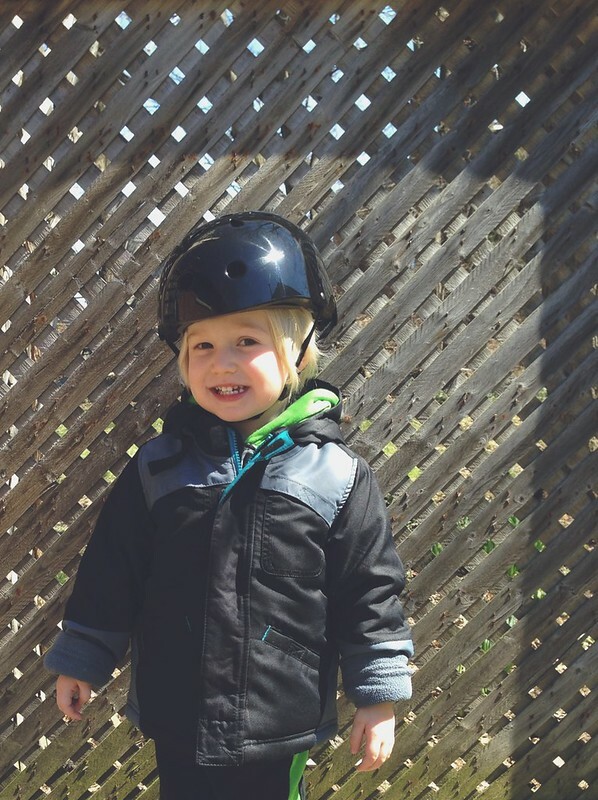 We've been playing in the backyard lately and Ben insisted on pulling out his tricycle, so I picked up a helmet for him and we took it for a spin. 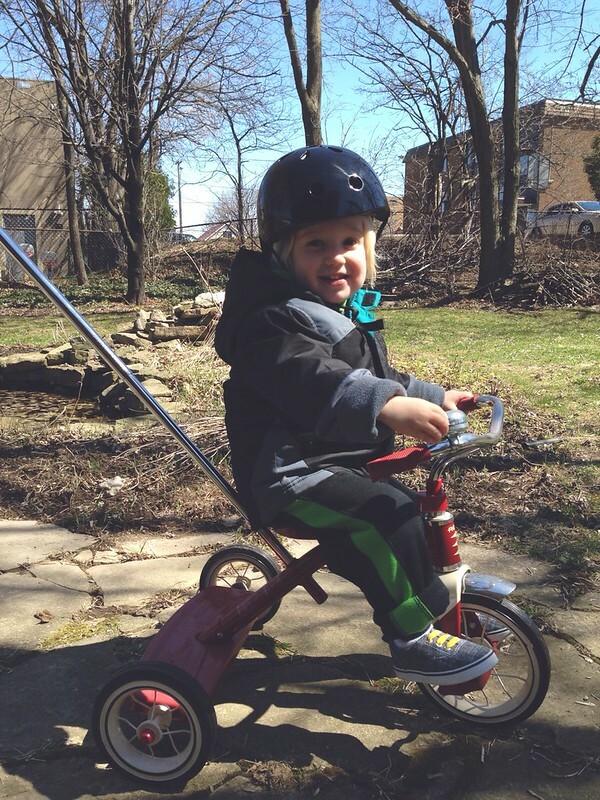 Cutest little tricyclist. Just love him.